At the end of last year, the ukulele club at Yamasa had a party where someone asked what our goal for the new year is. I remember saying I had 2 goals. 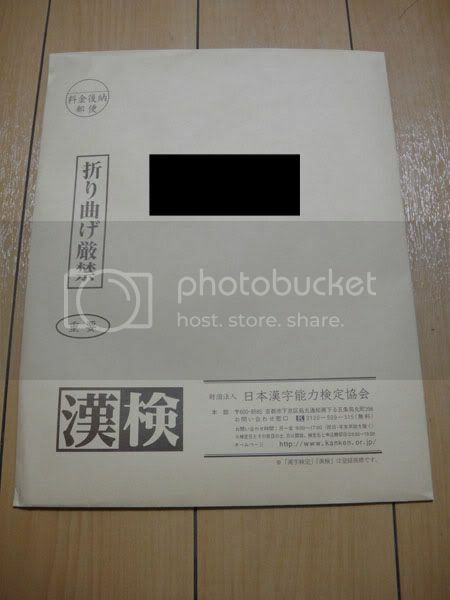 2) to pass 漢検準２級 (Kanji Test Pre-Level 2). In mid-February, my former colleagues helped fulfill my first goal and arranged a gokon (Japanese-styled matchmaking) session where I met a girl who looked a lot like 藤原紀香 (Fujiwara Norika). 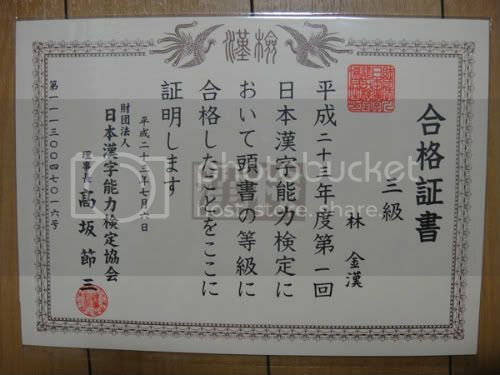 As for my 2nd goal, I had intended to go for it in June when the first Kanji Test of 2011 is held but due to the slowness of my pace, I didn’t manage to start studying for pre-level 2, so I decided to go for level 3 first, which I had more confidence in. I went for the test and the first few sections seemed pretty OK to me because I literally spent months studying for it but towards the end were some pretty difficult questions that I didn’t know the answers to. It turned out a little more difficult than I had expected. I opened it and voila! I registered for the pre-level 2 test in October a couple of days ago and while I’m not exactly confident this time, I sure hope my efforts will reap me some positive results. But I suspect you’re more interested in what happened with the Fujiwara Norika lookalike. Well, I guess things just didn’t work out. Congrats with passing the test. 1 curious question, did she ask you for your blood type or any “blood type” vs personality discussion was made? Thanks for the congratulatory messages, people! Well, I vaguely remember our entire exchange since it’s been almost half a year now since that gokon but I think we did talk about that. I kinda suspect that wasn’t so much a problem though. In actual fact, I only participated in the gokon because I wanted to experience it. I wasn’t really looking for a partner, though that would be a bonus. But since it was the first time, I wasn’t really sure if doing this or that was ok so I really held back most of the time and didn’t really do much. It was an interesting experience though I’m not exactly sure if I’m up for another one.